During four days of hearings in late August, Iran’s lawyers accused Washington of ‘strangling’ its economy. The UN’s top court on Wednesday ordered the United States to lift sanctions on “humanitarian” goods to Iran that President Donald Trump reimposed after pulling out of Tehran’s nuclear deal. The International Court of Justice (ICJ) unanimously ruled that Washington “shall remove by means of its choosing any impediments arising from the measures announced on May 8 to the free exportation to Iran of medicines and medical devices, food and agricultural commodities” as well as airplane parts, said judge Abdulqawi Ahmed Yusuf. 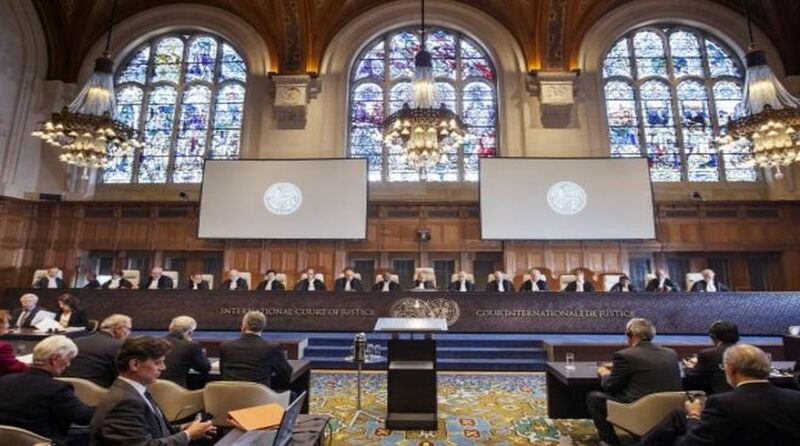 The ICJ handed down the bombshell judgement after Iran asked it to halt economic measures that Trump reimposed after pulling out of a landmark nuclear deal with Tehran. Judges in The Hague unanimously ruled that the sanctions on some goods breached a 1955 “friendship treaty” between Iran and the US that predates Iran’s Islamic Revolution. Trump slapped a first round of sanctions on Iran in August after pulling out in May of the international deal aimed at curbing Tehran’s nuclear ambitions, to the dismay of his European allies. A second round of punitive measures is due in November. Ahead of the decision, Iranian Foreign Minister Mohammad Javad Zarif said that the sanctions were a form of “psychological warfare” aimed at regime change. “The economic warfare that the United States and some of its regional clients are conducting against Iran is psychological warfare more than real economic warfare,” Zarif told BBC radio. During four days of hearings in late August, Iran’s lawyers accused Washington of “strangling” its economy. Washington however forcefully told the court that it has no jurisdiction to rule on this case as it concerns a matter of national security. Wednesday’s ruling is in fact a decision on so-called provisional measures ahead of a final decision on the matter, which may take several more years, experts said. Trump’s America First policy largely rejects overarching international organisations. He recently heavily criticised the separate International Criminal Court in The Hague over a probe into alleged US abuses in Afghanistan. The 2015 nuclear deal saw Iran agree to limit its nuclear programme and let in international inspectors in return for an end to years of sanctions by the West. But Trump argues that funds from the lifting of sanctions under the pact have been used to support terrorism and build nuclear-capable missiles. European allies have pledged to keep the deal alive, with plans for a mechanism to let firms skirt the US sanctions as they do business with Iran. Despite that, France alleged on Tuesday that the Iranian intelligence ministry was behind a foiled plot to bomb an exiled opposition group near Paris. US-Iran relations have plunged to a new low since Trump’s election in 2016, even as the US president reaches out to North Korean leader Kim Jong Un over his nuclear programme. Trump and Iranian President Hassan Rouhani faced off at the UN in September, with Rouhani denouncing leaders with “xenophobic tendencies resembling a Nazi disposition”. The case is the second brought by Tehran against Washington since 2016. That year it brought a suit at the ICJ against the freezing of around $2 billion of Iranian assets abroad which US courts say should go to American victims of terror attacks. Hearings in that case are due to start next week.